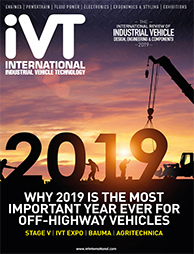 Willem Nieuwland, project leader for Hyster’s zero-emissions Laden Container Handler, discusses the challenges and possibilities of electrification and the relative merits of batteries and hydrogen. In addition to these topics, his presentation will also touch upon the ways to allow vehicles to go longer without recharging or refueling, as well as the possibilities for energy recovery in off-highway vehicles. What are the challenges in electrifying a big truck and how do they compare with electrifying smaller lift trucks? Although Hyster can offer lithium-ion (Li-ion) batteries on many trucks, the use of Li-ion power will be more limited in electrifying container handling trucks. Battery capacity is not sufficient for the most intense applications if there are no suitable opportunities to recharge during the shift. This is where fuel cells come in. Innovative Hyster Big Trucks are expected to be able to support continuous operation with operator-friendly recharge or quick H2 [hydrogen] refill options, delivered through our relationship with Nuvera Fuel Cells. What prospects are there for hydrogen? Hydrogen and grid power provide complementary solutions for ports. Where the requirements to power a fleet of electric Big Trucks are likely to exceed the power capabilities of the grid, hydrogen may provide ports with readily available energy without requiring a high-capacity charging infrastructure. The Big Truck charging challenge won’t just go away, because charging one requires a large amount of energy to be drawn in a short space of time. However, given the right infrastructure, operations will be able to work around it by carefully managing charging. The Hyster zero-emissions toploader in development has both a hydrogen fuel cell and a lithium-ion battery. This way, it has the potential to effectively support applications with higher power consumption and heavy-duty cycles: these trucks are expected to operate for a full day before requiring hydrogen refueling. As the truck can operate for longer before battery recharging is needed, this configuration also supports operations with irregular break periods, where it may not be practical to factor in battery charging throughout the day. With hydrogen fuel cell technology, Hyster expects the Big Truck in development to offer ‘clean’ energy with zero local emissions, as well as a low cost of ownership and comparable performance with diesel. Which powertrain configuration do you think is ideal? To achieve the optimal total cost of ownership, the right power option for a truck will always depend on the specific operation. There are a number of factors that need to be considered, such as break periods, duty cycle, level of power consumption and charging infrastructure. For example, an electric truck with a large battery pack and conventional charging may suit some applications, whereas others may be better suited by a truck with a medium battery pack and the capability for wireless opportunity charging. Other operations may benefit more from an electric truck with a small battery pack combined with an onboard fuel cell. There are many future possibilities around charging for electric handling equipment within terminals, such as wireless charging options and hydrogen fuel cell refill, but there are challenges, too. 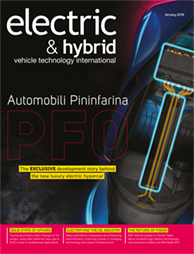 In the future, standardized charging is expected to be necessary for all types of electric vehicles in an operation. Otherwise, many believe that the cost of installing and maintaining a new charging infrastructure could prove to be prohibitive. It is expected that IC may eventually be replaced, but this is unlikely to happen quickly. 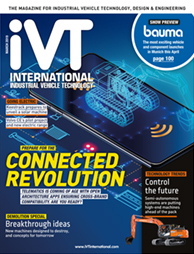 Global differences in emissions requirements, trucks operating under extreme conditions, and the time needed to develop necessary infrastructure for electric vehicles, are all factors that will continue to make IC a popular power option in the short term. 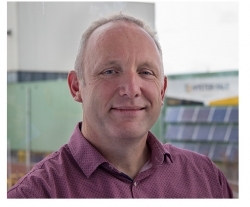 Willem Nieuwland will give a presentation entitled Energy reduction and clean technology as part of the Electric & Hybrid Industrial Vehicle Technology Conference. Click here to book your delegate pass, which gives you access to all four conferences.